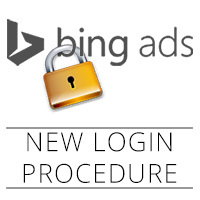 Microsoft Has Updated Their Login Procedure for Bing Ads To Simplify The Process And Increase Security. For those you using Bing Ads, you’ll start to see a new login screen, requesting you to use an existing Microsoft account or create a new one in order to login. 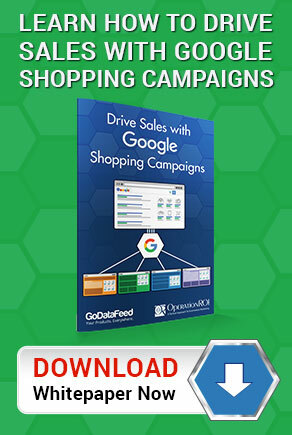 It seems they are following the same route Google took with a unified account login. After completing the switch over process, you will use the email address and password for both the Bing Ads Editor and the online platform. The good news is you are able to use the email address currently tied to your Bing Ads account (someone@example.com) as opposed to creating a new Microsoft email address (someone@live.com) in order to move forward. For existing customers, you have until the end of the year with the option to continue using the username instead of an email address. You will see the screen to update and can click the “Remind Me Later” link. However, sometime during the first half of 2014, the email address will be mandatory for all users. For new customers, the email address will be required at sign up. 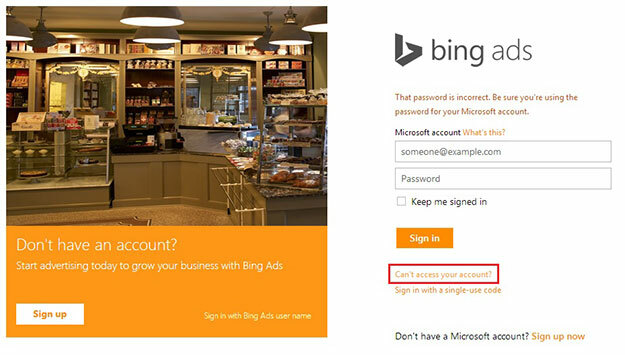 Why Is Bing Ads Requiring Customers To Use A Microsoft Account? 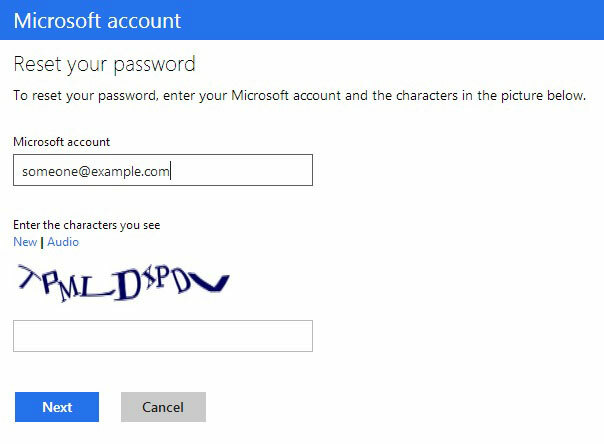 Security: Microsoft account has a new two-step verification process that helps ensure the safety and integrity of your Bing Ads account. Two-step verification requires that you provide a security code, in addition to your email address and password, when accessing your account from any device that hasn’t been previously authorized as a trusted device. Simplified Sign In: Using one account to sign in to all your Microsoft services and devices means you can get and stay connected more easily. 2. 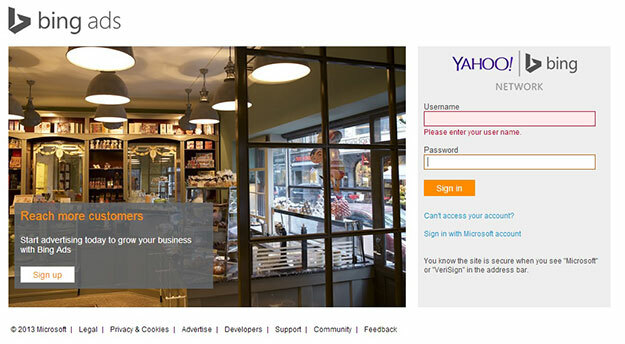 To use your current email address already linked to the Bing Ads Account, select the first option. Then hit it the continue button. This should complete the process. Please login with the email address and password to ensure the procedure is complete. 3. If the login does not work, the password might need to be updated. If that’s the case, click on the “Can’t Access Your Account?” link to reset the password. You can enter the same one being used. 4. Enter the email address and CAPTCHA code and click the “Next” button. 5. You will have the option to receive the reset link through the email listed. There is also an option to fill out a questionnaire. To stay consistent, just use the same password. If you are still having issues migrating your username and password you can reach out to Bing Ads Support. For existing OperationROI clients, if you are having any issues, please contact your OperationROI Marketing Analyst or call us at 954.300.2781.